The bio-sauna was designed to allow for a lower operating temperature and greater humidity. The Bio Sauna is the modern twist to the traditional Finnish sauna. It was designed to allow for a lower operating temperature and greater humidity and these together offer the Bio Sauna to a wider audience. To achieve this environment a Bio Sauna Heater is installed in place of a traditional sauna heater. 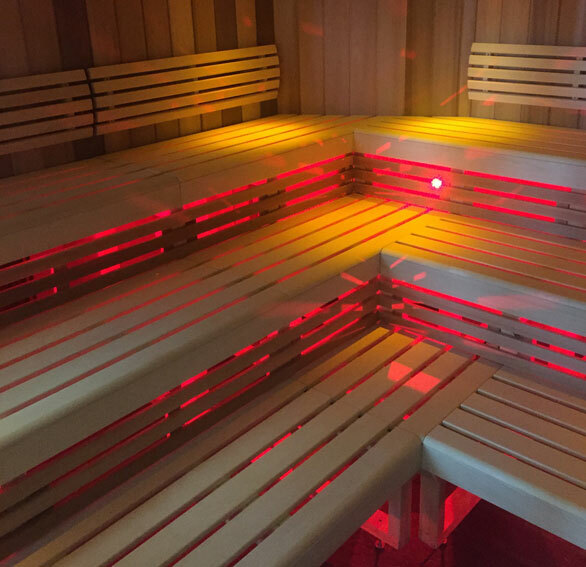 Your Bio Sauna can also have light therapy for a more interesting visual experience. If you enjoy the sauna experience but can’t tolerate the high temperature the Bio-Sauna is the sauna for you. Using only the finest timbers from sustainable suppliers, Vi-Spa offer a wide range of sauna cabin finishes. Design innovation, coupled with attention to detail this ensures that you will benefit from our 40+ years of commercial & domestic manufacturing experience. For more information on our Bio Sauna, Bio Sauna Heater and Sauna Services please contact us.